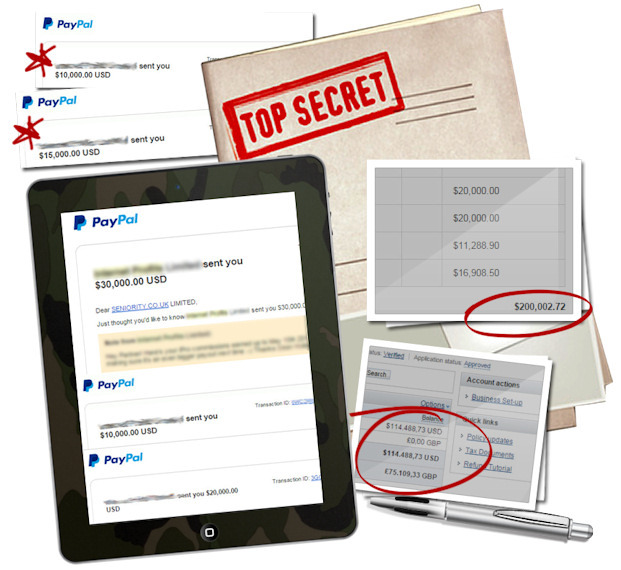 "You Won't Believe What This 43-year Old British Guy Does to Make $39,041.46 per Month Part-Time..."
"I can't share this secret strategy with everyone for reasons you'll learn in a moment. "But as a way to build an elite group of affiliate special operatives, who promote my future products, I will share it with you if you can meet the four qualifications spelled out in this letter." 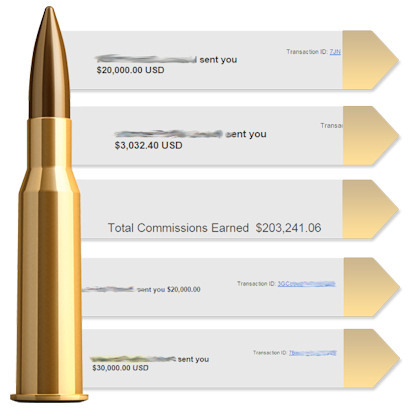 Battle-tested, proven and newbie-proof way to bring in big commissions, fast. Dear Marketing Special Operative: I'm looking for an elite group of individuals to form my very own legion of affiliate special operatives to promote my future products and get rich together. You must be hungry, you must want to make big commissions fast and you must be ready to take action. If you'd like to have the ability to make several thousand dollars a month in commissions, part-time, and... you'd like to have this happen in the fastest amount of time humanly possible... then I believe this will be one of the most important messages you'll ever read. 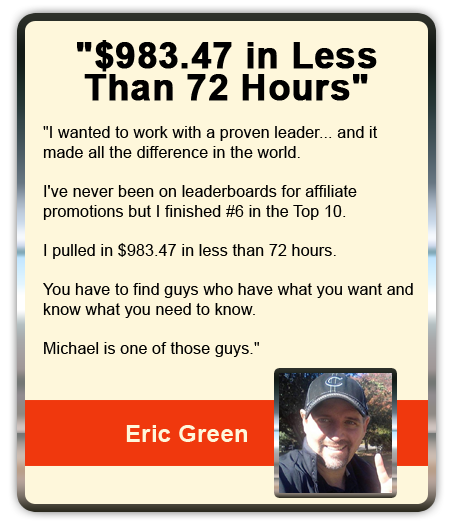 Here's why... My name's Michael Cheney and I make over $39,041.46 commissions per month, part-time, and now I'm going to show you exactly how. But I can't reveal this information to just anyone. This is a secret strategy nobody else is teaching and only a few elite individuals even know exists. "Transactions Speak Louder Than Words..."
Here's a bunch of commissions I've made recently spending just a few hours a week applying this exact same affiliate strategy. And yes - I really do make this money part-time. "Working" from home with two kids under 3-years old, a new puppy and a passion for road cycling doesn't leave much time to be sat in front of a monitor, trust me. You need to know - this is entirely possible for anyone to replicate. As long as you can follow simple steps (and you have access to the internet) you can do this. You don't even need to have a list, a website, money for ads or a degree in rocket science. It's real simple as you're about to discover. You Don't Talk About Commission Black Ops..."
You must meet four qualifications to get access to this information and keeping it confidential is the first one - the others are explained below. If you agree to keep this confidential, if you're upto the challenge and if you meet the FOUR qualifications set out below you can swipe and deploy this exact same strategy for yourself. "Why Would I Even Share This Strategy?" Well firstly you should know - I don't make any money from you buying this. One hundred per cent of all the profits from the sales of Commission Black Ops are being given to my affiliates. 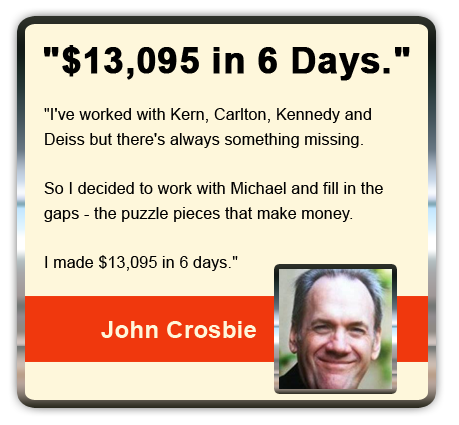 I used to personally train affiliate special operatives for $5000 a time in my personal coaching program. The graduates from the $5000 made a LOT of money for me (and themselves). But because the coaching program was so labor-intensive I stopped doing it. So now I'm going to create the same top level affiliates by revealing my secret money-making strategy but present it in a way which doesn't require a lot of work on my part. 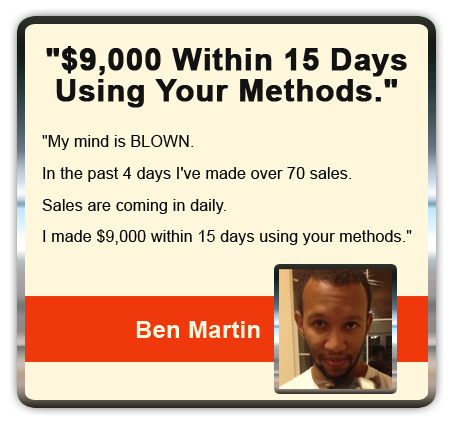 "I'm Building a Legion of Affiliate Special Operatives Who Create Colossal Commissions Promoting My Stuff..."
Yes - my $5000 coaching program teaching this stuff is now closed and the headache of all the work is gone with it. Yahoo. My coaching program used to be like a conveyor belt churning out top level affiliates all the time. But now that's bitten the dust too. 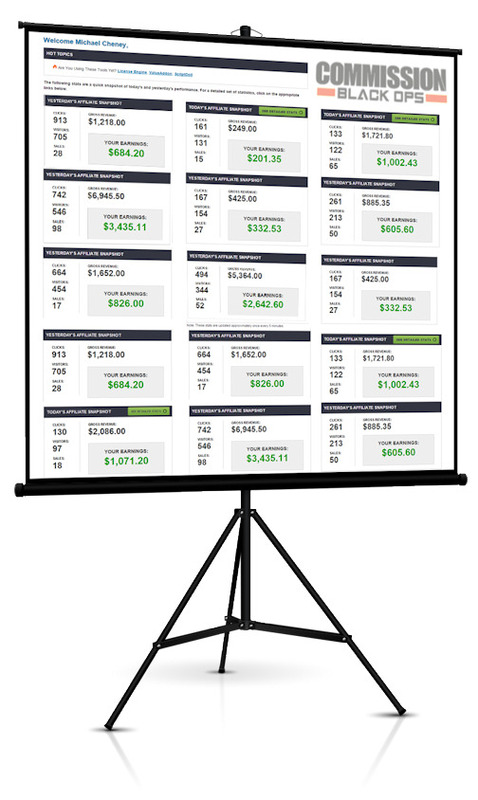 So now I'm going to teach you the exact same strategy I use to make $39,041.46 commissions per month and the exact same strategy I taught my $5000 coaching students. And you're getting your hands on this for just a few bucks because I've documented the entire process rather than having to teach it to you one-on-one. "But First You Must Qualify..."
I'm looking for the right type of people, not just anyone. There are 4 IMPORTANT QUALIFICATIONS you'll see in a moment in this letter. If you meet them all this makes you eligible to receive the "Commission Black Ops" strategy. And don't for a minute think I'm selling this to make a quick buck - as I said; every last cent from the sale of this product goes back to my affiliates. I'm growing a legion of affiliate special operatives here and you're next in line. If, and only if, you meet the qualifications outlined below. It doesn't take a genius to recognize the so-called "popular wisdom" about affiliate marketing is a crock. "Build a blog and write reviews", they say. "Create a mini-site and get ranked on Google", they say. "Run paid ads on Facebook", they say. I'm not saying this stuff doesn't work. Maybe it does. It just all sounds like too much work to me. Not to mention expensive. Writing reviews, building websites, paying for ads? Screw that. No way Jose. 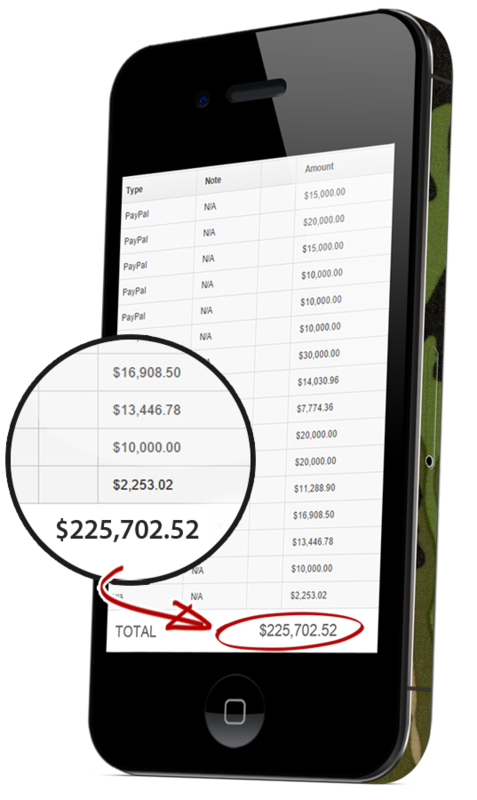 "Swipe, Deploy and Profit from the Exact Same Strategy Which is Making $39,041.46 Commissions per Month..."
I've developed the entire strategy you can just swipe, deploy and profit from. You can do this even if you're a newbie with no list, no clue and no experience. You are getting the unique opportunity here to finally get your hands on the same strategy responsible for over $1000 commissions per day. 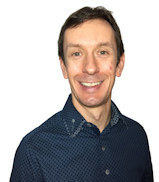 Forget fighting it out for crumbs at the bottom of the affiliate marketing pond when you can rise to the top and become the big-earning fish, fast. I'll level with you here - making commissions doesn't have to be hard. When you know the right way to do affiliate marketing it's a total breeze and you'll be making money in your sleep. "How To Make Lots Of Commissions Without Even Trying..."
Yes. 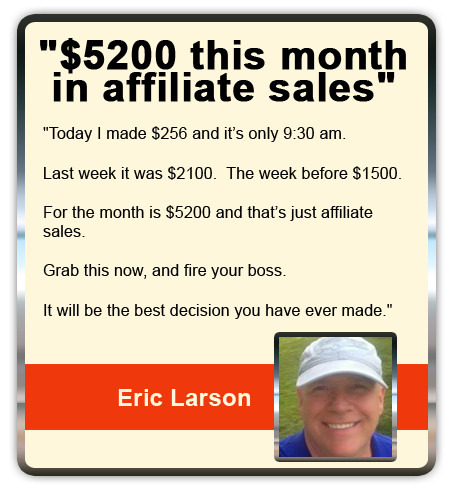 I've discovered the big "easy button" of affiliate marketing. Can you imagine how much better things will be when you can finally make money like this? The Thousands of Dollars Hidden In That Computer of Yours..."
You've seen the numbers. You've practically tasted the money. You are on the verge of changing your income, changing your life and changing your destiny here. I'm serious. This is life-altering information which will set you on a new higher trajectory towards bigger earnings. By now I'm sure you're desperate to get your hands on this. 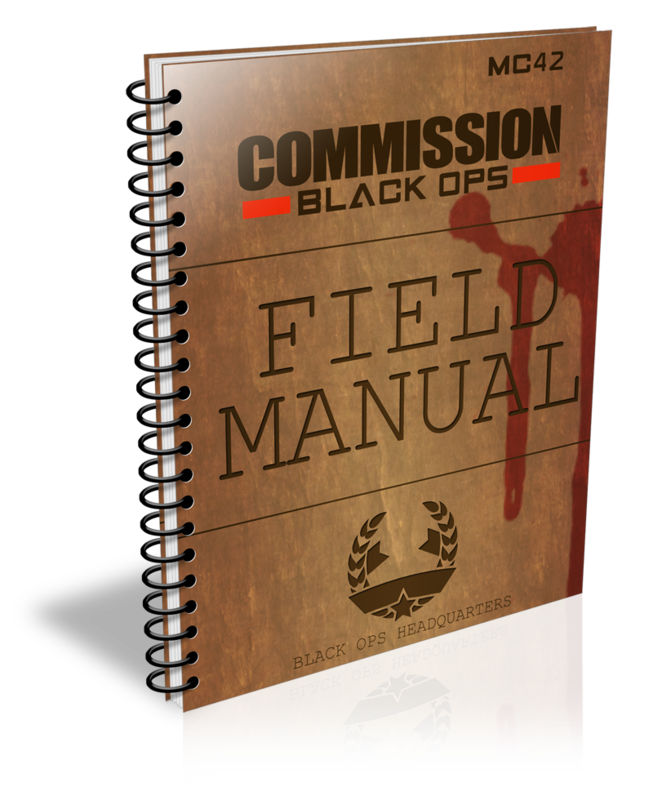 The Black Ops "Field Manual"
You're getting the confidential "Commission Black Ops" Field Manual which reveals the exact money-making strategy to you in breathtaking detail. You are getting your hands on the exact same strategy I use to make $39,041.46 commissions per month here in this 67-page special manual. 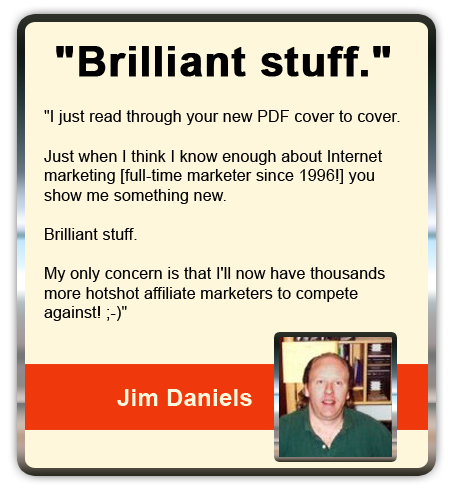 You'll be making serious money in record time with this manual - whether you read it on screen or print the thing off and study in your "off-the-grid" bunker. Simply follow the easy steps to swipe, deploy and profit. Making money doesn't get any easier than this. You can literally watch, learn and earn just by copying the simple steps inside each of these videos. You might be the type of person who prefers to read and listen to their money-making info - in which case you can use the Field Manual and Audios as described above. But if you're like me and like to see things on screen and prefer your commission-creating insights to be imparted visually then this videos version is definitely for you. 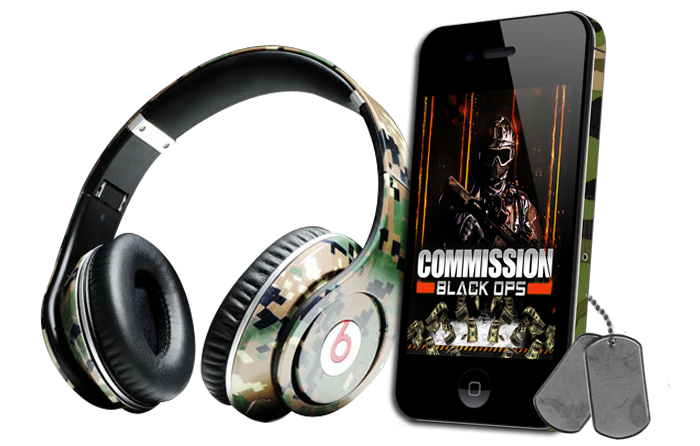 You can learn and earn on the go with the MP3 Audios version of the Commission Black Ops training. Guaranteed to delight your ear-drums and fill your wallet. Wrap your ears around these golden nuggets of money-making information which you can quickly absorb into your brain and convert into real money in your bank account. These killer audios are perfect for you if you're a busy affiliate looking to get quick results with minimum effort and time required. with No Risk Whatsoever, Here's How This Works..."
You risk nothing when ordering because Commission Black Ops is guaranteed to be worth at least 100 times its cost to you — or at least $1,000. And you will be the sole judge of that. If at any time during the next 30 days you don’t agree that the principles revealed here will be worth at least $1,000 to you over the course of your affiliate marketing career, just contact us for a complete refund. You risk absolutely nothing. 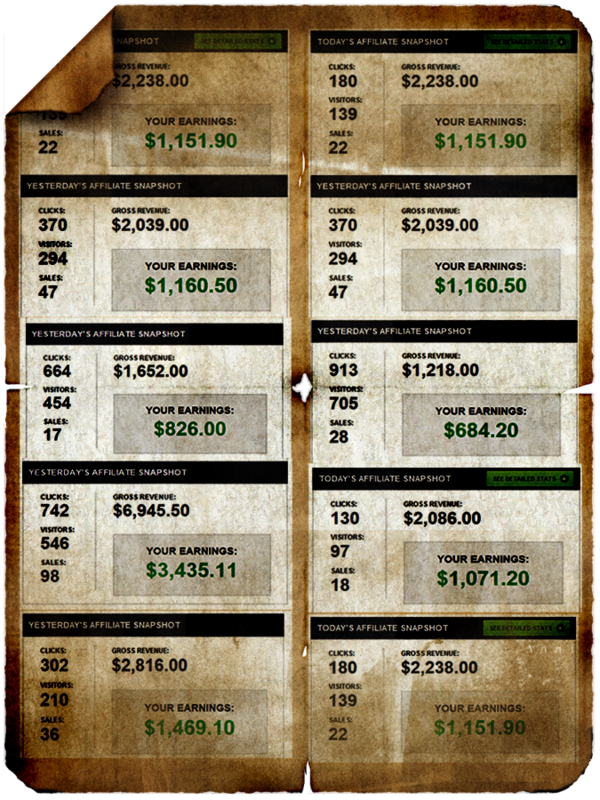 I make $39,041.46 commissions per month using the exact same strategy you’re getting your hands on here. The chances are you won’t make that. But let’s make it worst case here and, as long as you apply this secret strategy step-by-step you will make, at an absolute minimum, at least 100 times what you invest to get your hands on it (or $1000) over the course of your affiliate marketing career. I know YOU’RE not the kind of “entitlement mentality” douchebag who would rather keep a few dollars in their pocket than get to work with the strategy and make a few thousand. I also know you would like the peace of mind here to know you’re doing the right thing by investing in this which is why you are covered 100%. There is no risk whatsoever. If, for some unknown, unearthly reason you are the only person ever, in the history of the universe, this doesn't work for then I will happily refund you. This is confidential and proprietary information which I am granting you access to as a paying client (if you meet all these qualifications). This means no sharing, redistributing, re-purposing or talking about this information. Don't think once you've learned this strategy it's "fair game" to rename it and sell it as your own. It's not. Doing that is like chumming the water for my lawyers - they love that. The reason I'm releasing this is to build a legion of affiliate special operatives who can crush it for me when I release future products. So I can only accept you if you're willing to get your hands dirty and apply this $39k/mo. strategy. 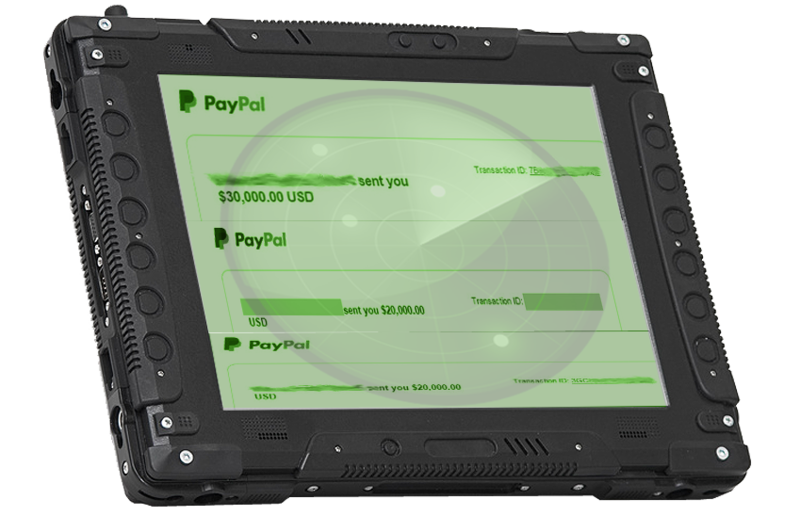 Yes it's easy to swipe and deploy but there is still some effort required on your part. So if you're expecting money to rain from the heavens without you even lifting a finger then do not buy this. I've made no secret of the fact I'm looking for the best of the best to build my legion of top affiliates who can promote my products and make us all rich moving forward. Now it'd be great if you're already ahead of the game here but even if you're fresh off the applecart it's all good - as long as you have the DESIRE to become a top affiliate you have what it takes. If you're the type of whinging, whining, negative nellie who thinks the world owes them a favor then please run to the hills right now. If you're one of those thieves and liars who instantly claims a refund without even looking at the product or complains because money doesn't instantly rain down from the sky then forget it. This strategy works (if you do). Period. Okay, it's time to wrap this thing up and get you started making money with this - are you ready? I'm not gonna bend over backwards to get you to buy this because, quite frankly, it's not in my interest to do that. Every last cent from the sale of this goes to my affiliates. I'm revealing this info only to the RIGHT group of select individuals who meet the grade so they can join my legion of affiliate special operatives. YES. I confirm I meet all FOUR qualifications above and agree I will keep this confidential, will apply this strategy, have the drive to succeed and am definitely not a douchebag. YES. I am ready to unlock the "master key" of affiliate marketing and get my hands on this battle-tested and proven $1000-a-day strategy for myself. YES. 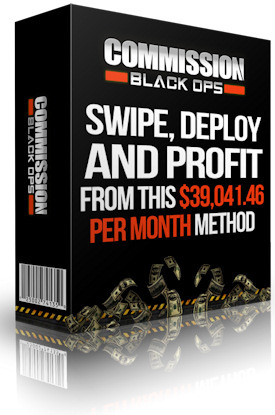 I want you to give me instant access to the Commission Black Ops "Field Manual", the step-by-step Video Modules and the easy-to-follow MP3 audios. YES. I am sick of not making the commissions I deserve and want to finally discover the secret which will unlock the BIG money for me, fast. YES. I want to get my hands on this previously unseen secret strategy and start making money as soon as today without having to spend one red cent on ads or anything else. There is no risk whatsoever and I should I'm investing in Commission Black Ops RIGHT NOW for a small, ONE-TIME, ONE-OFF investment. If you're having to read every last word here to try and convince yourself this is for you - then it probably isn't and you should walk away. And this isn't reverse psychology either - if you're at all uncertain about all the proof, testimonials and data I've presented to you and the eye-watering TINY investment then please do us both a favor right now and run to the hills before it gets ugly. I'll see you on the other side. Let's do this.